Is it Possible to Live Without a Pancreas? 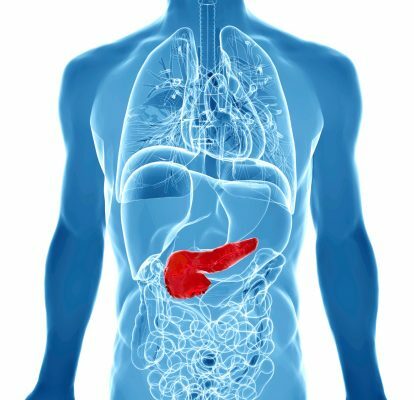 Home » Colon And Digestive » Can you live without a pancreas? The pancreas is an organ located in the abdomen that secrets insulin, digestive enzymes, and hormones. It plays an important role in the management of blood sugar and in the digestive system, but can you live without it? Continue reading to learn why the pancreas may be removed, how people can live without one, and the potential side effects of pancreas removal. The pancreas is a key component of the digestive system and works to regulate blood sugar, preventing the development of diabetes. Why then do people have it removed? Below are some of the most common reasons for the removal of the pancreas. Hereditary pancreatitis: Pancreatitis is the inflammation of the pancreas, and hereditary pancreatitis is caused by genetic mutations that increase a patient’s risk of developing this inflammation on a recurrent basis. People with hereditary pancreatitis are 40 percent more likely to develop pancreatic cancer, so the pancreas is sometimes removed as a preventative measure. Chronic pancreatitis: Chronic pancreatitis causes severe pain and is long-lasting, so patients may opt for either a full or partial removal of the pancreas in order to relieve the pain associated with this condition. IPMN: IPMN, or intraductal papillary mucinous neoplasm, is a pre-cancerous condition that causes sores and lesions to develop in the main pancreas duct. The pancreas may be removed in those with this condition to prevent it from developing into pancreatic cancer. Cancer: Those with pancreatic cancer will undergo either a full or partial pancreas removal approximately 20–40 percent of the time. A full pancreas removal occurs most often if the patient has multiple tumors, or an underlying disease that affects the entire pancreas. If you have your pancreas removed, your body will no longer naturally produce the insulin and digestive enzymes it needs to function properly. Synthetic alternatives will need to be utilized to maintain optimal function and good health. Know how many enzymes your body needs: Without the enzymes naturally created by the pancreas, the digestion process can become faulty and leave you with abdominal pain and irregular stool. You can take enzymes to combat this, though it is important to be aware of your changing needs as dictated by your diet. For example, if you are eating a diet full of fats, you will need more enzymes than usual. Monitor your blood sugar: As your pancreas is responsible for the secretion of insulin—which controls your blood sugar levels—it is important to monitor these levels throughout the day. Changes in blood sugar can leave you feeling shaky and tired, so always have your glucose monitor on hand, as well as sugar tablets and gels. or protein-rich snacks. Work together with your doctor: Living without a pancreas means you must see your doctor more often, as any changes to your diet or enzyme dosage need to be discussed. Regular checkups with your doctor are also necessary, as they will have to check the functioning of other vital organs like your kidneys on a more frequent basis. Seek out support: Making these changes can seem daunting, so seeking the support of others who have been there before may be able to help you through the task. Pancreas removal also affects your hormones and may leave you feeling stressed, angry, anxious, and fearful, so counseling after the operation may be a good option to help you cope. The key to a healthy recovery after have your pancreas removed is a willingness to make lifestyle changes to better your health. You will need to get used to carrying a glucose meter and healthy snacks so that you can monitor your blood sugar consistently and eat to raise it if it drops too low. You may also need to have regular injections of insulin in order to keep your blood glucose at a stable level, and repeatedly missing doses may lead to damage that can cause blindness, stroke, heart attack, kidney failure, and nerve damage. Similarly, it is important to stay on top of your enzyme regimen, as missing doses can cause vitamin deficiencies. These deficiencies can cause osteoporosis, as well as gastrointestinal problems like diarrhea or fatty, floating stools. A full removal of the pancreas is rare, but may be recommended to prevent certain medical conditions from developing or worsening. Without your pancreas, you will need to make some lifestyle changes that include monitoring your blood sugar, watching your diet, taking enzyme pills, and having insulin injections. Life without a pancreas is possible, and your body can function normally so long as you are diligent in keeping up with your insulin and enzyme doses, as well as monitoring your blood sugar and managing your diet.